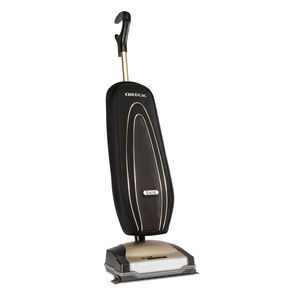 We are your one stop shop for all your vacuum cleaner needs. No matter the brand we stock parts and repair just about every one including: Miele, Dyson, Kirby, Tristar, Compact, Hoover, Eureka, Dirt Devil, Royal, Oreck , Riccar, Simplicity, Maytag, Lindhaus, Proteam, Sebo, Windsor, Bissell,Electrolux, Filter Queen, Rainbow, Panasonic, Sears Kenmore and many many more. We are also the warranty service center for DYSON-HOOVER-DIRT DEVIL-ORECK-ROYAL-LINDHAUS-RICCAR-SIMPLICITY-MAYTAG. So you can drop off your machine with confidence and know you’re at the right place. We warranty all our repairs for one full year. We use OEM parts when they are available or we use the best replacement parts on the market. Our goal is your satisfaction, nothing else will do. Have questions about your repair like: is it worth fixing or should I buy a new one? We can take it apart and diagnose your machine before you decide to fix it. We don’t want you to make a bad investment into a vacuum thats not worth fixing either. We are here to help give us a call, you will be glad you did.